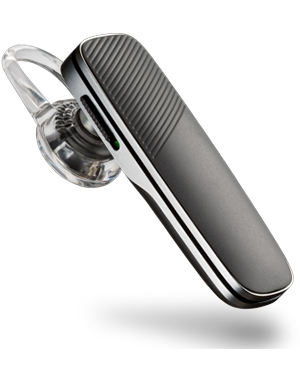 Plantronics Explorer 500/R Grey Headset is a Bluetooth headset that offers crystal clear conversations through the integrated of several functions and technologies that contribute to it, including wind and noise cancelling technologies and HD Voice technology. It provides users the convenience of operating hands-free and so allows them to multitask while at the same time being on standby for calls. With this headset, users can be free from tangled wires and even have the benefit of using voice commands for Google Now, Cortana, and Siri. Plantronics Explorer 500/R Grey Headset offers certified HD Voice quality, along with the smartphone voice control that makes it easy for users to navigate the commands in the device. 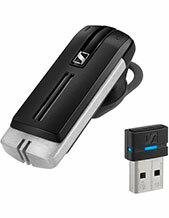 It also offers multi-lingual notifications and magnetic USB trap for additional convenience. Some of the languages offered by the device are French, Spanish, and the standard English language. 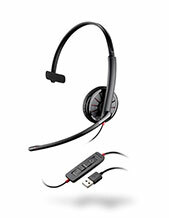 Learn more about this innovative headset by calling our representatives at Australia wide 1300 131 133! Established in the year 1961, Plantronics is a consumer electronics company that operates in the global market with its major headquarters located in Santa Cruz, California. Led by President and CEO Joe Burton, the company has become a frontrunner in the development and innovation of top-notch headsets and audio solutions. The developed devices and solutions of the company are manufactured from China and Mexico, and the company operates in the global market with the assistance of approximately 5,000 employed experts and many original equipment manufacturers, wireless carriers, telephony and service providers, and retailers in around 80 countries all over Asia Pacific Region, Europe, and North America. 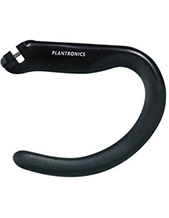 Plantronics was incorporated on August 12, 1988, and has continued to be involved in the development and advancement of technologies integrated in the products and solutions. In fact, the company has already developed solutions and devices that can support the special needs of hearing impaired users.